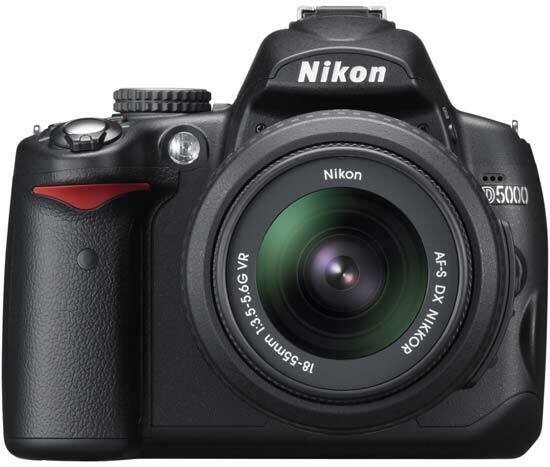 The Nikon D5000 is a successful crossbreed of the D90 and the D60. The new DSLR combines the imaging assembly, AF module, Live View and HD video recording capabilities of the former with the beginner-friendly infopanel-based operation of the latter, in a form factor that lies somewhere in the middle between the two. It also adds its own to the mix, in the form of an articulated rear LCD, though this is sadly compromised by the lack of proper anti-glare coating, which causes the otherwise versatile screen to be very hard to see in strong daylight. Also specific to the Nikon D5000 is the extremely well-dampened, therefore surprisingly quiet mirror that, along with the relatively small size and unobtrusive appearance of the camera, makes it ideal for applications like candid street photography. Those who require dual control wheels, more dedicated buttons, a large viewfinder and greater compatibility with older AF lenses will still be better served by a D90 and are therefore advised to save up for the higher specified model. For everybody else, the Nikon D5000 provides much the same functionality and image quality in a smaller, lighter and quieter edition. Obviously, the competition hasn't stood still either since the introduction of the D90, and these days there are remarkable offerings in the market that can potentially lure you away from the Nikon D5000. The Canon EOS 500D, the Olympus E-620 and the Panasonic Lumix DMC-GH1 each have their own sets of strengths and weaknesses, therefore we recommend that you check out our reviews of those cameras too, before making a purchase.